Julie Baggott's Siamese cat Cupcake found her way into a box full of DVDs that was then taped up, trapping her inside. Cupcake, who as a house cat is probably more accustomed to spending her days indoors, was then sent on a journey from her home in Cornwall to West Sussex. Meanwhile, Ms Baggott began searching high and low for her beloved cat, even making posters and recruiting neighbours to help her find the feline. 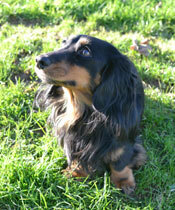 But Cupcake reappeared in Worthing, and was only eventually reunited with her owner thanks to her microchip. Ms Baggot said it was a complete surprise to receive the phone call informing her of her animal's whereabouts, adding it was a miracle the cat survived at all. The vet who looked after Cupcake said that although she has showed signs of being dehydrated and nervous, she has otherwise responded well to treatment and some TLC.